Hook and Bones Hook and Bones is a brand created for the individual who is drawn to the water life; the Hook and Bones life. Hook and Bones understands the undeniable attractions that oceans, lakes, and rivers have on one's soul. Whether that attraction is fishing or just the call of the water, Hook and Bones captures the essence of the individual who yearns to be free from the daily grind and seeks the freedoms that only God's bounty can inspire.  Hook and Bones is the inner pirate that swims through your soul. Abu Garcia For generations, anglers the world over have put their trust in Abu Garcia for tackle that stands their toughest tests. It’s a trust that’s been earned by building products right the first time, and making them even better time after time. Abu Garcia refuses to compromise on how they design, build and perfect their precision equipment. That’s why decades of experience and obsession for detail are the hallmarks of Abu Garcia. Abu Garcia continues to design cutting edge fishing equipment with their heritage in mind so generation after generation of anglers will enjoy the fruits of their labor and the thrill of the sport. Berkley You have a passion for the sport, and so does Berkley. Passion is what made them the world's leading fishing tackle company Berkley is the premium brand of fishing tackle that fuels your passion for fishing, offering the broadest array of innovative solutions developed by anglers who share your commitment to the sport. Berkley's goal remains surprisingly simple - to make fishing fun and help anglers everywhere to Catch More Fish! Their leading edge technology has resulted in performance advances in fishing lines, soft baits, hard baits, fishing rods and terminal tackle. The Wrap Shoppe Wraps of all kinds are the name of the game at the Wrap Shoppe. The Wrap Shoppe can wrap your car, truck, boat, trailer, wall murals, and more. Their professional designers will consistently create graphics that are aesthetically breathtaking and effective in increasing your brand recognition. The Wrap Shoppe's focus on large format premium vehicle graphic solutions makes it possible for clients to gain a high level of exposure every time they take the wheel. Their proven system results in high-end results every time...It's why the Wrap Shoppe remains the premier name in the wrap industry. Trilene Every inch of every spool of Berkley line is made under strict quality control measures to assure the finest quality and best performance. Berkley's scientists are constantly developing new line formulas and pushing the technological envelope to bring you the very best fishing lines made. Berkley's professional anglers are testing those new products in the field under the toughest conditions, and most importantly, anglers like you continue to offer feedback on what you need to give you that extra edge. That's how and why Berkley develops the world's very best fishing lines. Powerbait The Berkley PowerBait scent and flavor impregnated into baits is tasted by fish upon biting bait. Fish hang on longer for more positive hook sets. The more a fish bites the more scent is dispersed into the water. PowerBait products are available for nearly every fish species and fishing technique. Havoc Berkley innovation together with professional bass angler experience has created a new series of soft baits. Berkley's in-house scientists have teamed up with top bass anglers to develop shapes and trailers that anglers, and especially bass have never before seen. These unique soft baits are designed with specific shapes, actions, and colors that will give you the edge to catch more fish and release your inner pro. Spiderwire Spiderwire rides at the crest of the new wave of fishing equipment hitting the sport in the last ten years. What started in California as part of a technologically advanced research project having nothing to do with fishing has become the cutting-edge fishing line of choice for aggressive anglers who demand the highest quality and performance. Spiderwire takes you where the fish are, and it makes sure you get them in the boat. With superlines to match your toughest demands, Spiderwire isn't just a leader in the premium superline category - it's in a category all by itself. Transducer Shield and Saver Inexpensive protection for your transducer. 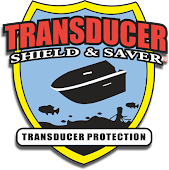 Do-it-yourself easy installation of any of Transducer Shield and Saver's many products will help prevent impact damage and the collection of debris. Models are available for many of today's most popular transducers incliding side-scan models. Transducer Shield and Saver products can be mounted on trolling motors, jackplates, or directly to the transom of your boat. True EMR Technologies True EMR Technologies Inc has created a total online solution for veterinarians, pet hospitals, and pet owners. True EMR Technologies is a web-based and software-based solution which provides easy access to veterinary records. Pets’ records can be accessed and viewed anywhere in the world with an internet connection. View medical documents, history, treatments and prescriptions as soon as your veterinarian uploads them to your pet's file. Best of all.... Its completely free to the pet owner! Pure Fishing Pure Fishing is a global family of quality fishing tackle brands, offering a broad range of products that meet or exceed the needs of today's anglers. Today, Pure Fishing addresses the needs of anglers around the world with a strong portfolio of leading brands. Pure Fishing is dedicated to helping you have more fun and catch more fish.